I know, I know, it is a little too soon to be blogging about Gucci since their newly revamped Paragon boutique was just covered here hours ago (click here for a look), but some things need to said about the Italian luxury house’s most coveted shoe of the season. Officially known as the Flashtrek Sneakers (and not Journey as previous reported), some colour combinations are for the ladies only, like the pair shown above. Other pairs, like the green/black combo, are unisex. So now you know. Also worth noting, they will come adorned with the crystals that are also removable, and will be priced at EUR1200 a pair. In Singapore, they will retail at around SGD1990, which isn’t so bad a markup. 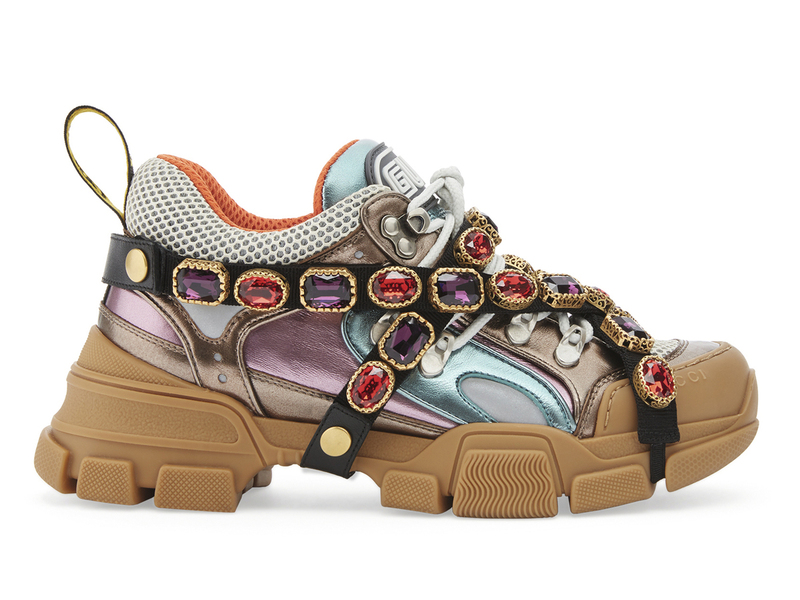 If, however, you’re not Thanos and not a fan of the crystals at all, there will be sneakers sold without the blingy stones at EUR790 a pair, but really, what’s the fun in that? No word yet on when Singapore will start launching them, but you know the drill. Head down to Gucci soon, speak to your SA and have them reserved stat.